VOTE on Tuesday, November 3rd! 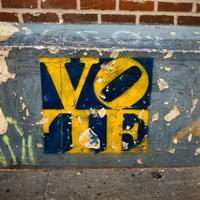 Philadelphia’s 2015 general election is Tuesday, November 3rd and it is an important one! Registered voters will have the opportunity to select a new Mayor, City Council members, Judges (for PA Supreme Court, Superior Court, Commonwealth Court, Court of Common Pleas, and Philadelphia Municipal Court) City Commissioners, Sheriff, Register of Wills, and those ever important ballot questions. Want to understand more about the nuts and bolts of the election and practical information like how to register and find your polling place? The Committee of Seventy has been the Philadelphia-based non-partisan institution for many, many years, committed to providing voters with all the information they need to make informed decisions and deciphering politico-speak into "Plain English". You can even call them to get help making your election day choices: 1-855-SEVENTY (1-855-738-3689). Thirty-four of the Free Library’s locations are polling places, but where you vote depends on your address. The Philadelphia Voter App, provided by the Office of Philadelphia Commissioners, is another useful and easy to use tool to find out exactly where you can vote in your neighborhood. OK, so now that we've sorted out all the guess work, all you have to do is... VOTE! Additional content by Peter Santa Maria. 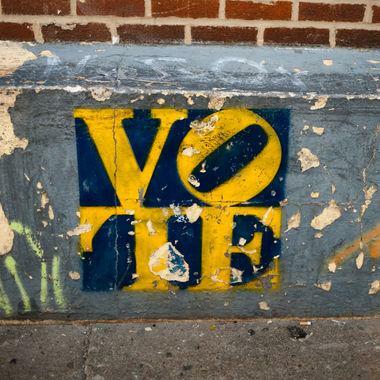 November 3rd, 2015 is Election Day in Philadelphia! Add a Comment to VOTE on Tuesday, November 3rd!